High quality metric socket head cap screw M6 x 1 x 20mm stainless steel A2 18/8 304. Visit our store for more fasteners and industrial supplies. High quality button socket head screw M3 x 0.5 x 30mm stainless steel A2. Visit our store for more fasteners and industrial supplies. I take great pride in the quality of my items, the accuracy of my descriptions and prompt shipping! High quality hex bolt M5 X 0.8 X 16 stainless steel A2 304. Visit our store for more fasteners and industrial supplies. I take great pride in the quality of my items, the accuracy of my descriptions and prompt shipping! High quality button socket head screw M5 x 0.8 x 20mm stainless steel A2. Visit our store for more fasteners and industrial supplies. I take great pride in the quality of my items, the accuracy of my descriptions and prompt shipping! 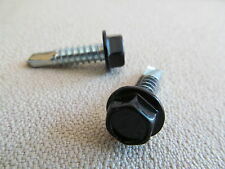 High quality socket head capscrew 5/16-18 X 1 1/2" stainless steel 18/8. Visit our store for more fasteners and industrial supplies. I take great pride in the quality of my items, the accuracy of my descriptions and prompt shipping! High quality metric socket head cap screw M6 x 1 x 40mm stainless steel A2 18/8 304. Visit our store for more fasteners and industrial supplies. High quality metric hex bolt M10 x 1.5 x 140mm stainless steel A2. Visit our store for more fasteners and industrial supplies. SHIPPING TIME FOR CANADA IS BETWEEN 2 to 7 BUSINESS DAYS. High quality metric hex bolt M6 x 1 x 30mm stainless steel A2 304. 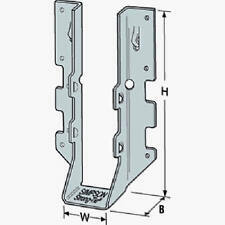 Visit our store for more fasteners and industrial supplies. I take great pride in the quality of my items, the accuracy of my descriptions and prompt shipping! High quality nylon insert lock nut #10-32 Stainless 304. Visit our store for more fasteners and industrial supplies. I take great pride in the quality of my items, the accuracy of my descriptions and prompt shipping! High quality metric socket head cap screw M6 x 1 x 35mm stainless steel A2 18/8. Visit our store for more fasteners and industrial supplies. I take great pride in the quality of my items, the accuracy of my descriptions and prompt shipping! 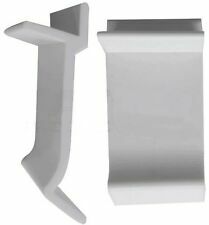 High quality fender washer M8 x 24mm stainless steel A2. Visit our store for more fasteners and industrial supplies. I take great pride in the quality of my items, the accuracy of my descriptions and prompt shipping! High quality metric A2 phillips flat head machine screw. M3 x 0.5 x 25mm. Visit our store for more fasteners and industrial supplies. I take great pride in the quality of my items, the accuracy of my descriptions and prompt shipping! High quality flat washer M8 Din 125 stainless steel A2 18/8. Visit our store for more fasteners and industrial supplies. I take great pride in the quality of my items, the accuracy of my descriptions and prompt shipping! High quality metric hex nut M10 x 1.5 CL8 zinc plated. Visit our store for more fasteners and industrial supplies. I take great pride in the quality of my items, the accuracy of my descriptions and prompt shipping! 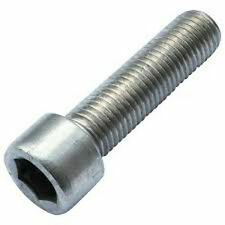 High quality Hex Bolt 1/4-20 X 1/2" stainless steel 18/8. Visit our store for more fasteners and industrial supplies. I take great pride in the quality of my items, the accuracy of my descriptions and prompt shipping! #12 x 1 1/4" SS18/8. 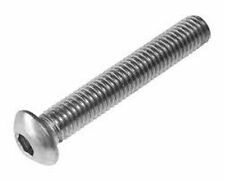 High quality Screws Flat Head Phillips Drive Screws for Sheet Metal. Visit our store for more fasteners and industrial supplies. High quality metric hex bolt M6 x 1 x 80mm stainless steel A2 304. Visit our store for more fasteners and industrial supplies. I take great pride in the quality of my items, the accuracy of my descriptions and prompt shipping! M3 x 0.5 x 30mm SS A2. Stainless Steel Metric High-Profile Cheese Head Machine Screws. High quality metric cheese head machine screw Din 84. Visit our store for more fasteners and industrial supplies. High quality flat socket head screw M6 x 1.0 x 40mm stainless steel A2. Visit our store for more fasteners and industrial supplies. I take great pride in the quality of my items, the accuracy of my descriptions and prompt shipping! High quality metric A2 phillips flat head machine screw. M5 x 0.8 x 45mm. Visit our store for more fasteners and industrial supplies. I take great pride in the quality of my items, the accuracy of my descriptions and prompt shipping! High quality lock washer M8 Din 127 stainless steel A2 304. Visit our store for more fasteners and industrial supplies. I take great pride in the quality of my items, the accuracy of my descriptions and prompt shipping! High quality metric hex bolt M6 x 1 x 40mm stainless steel A2 304. Visit our store for more fasteners and industrial supplies. I take great pride in the quality of my items, the accuracy of my descriptions and prompt shipping! High quality flat socket head screw M3 x .5 x 16mm stainless steel A2. Visit our store for more fasteners and industrial supplies. I take great pride in the quality of my items, the accuracy of my descriptions and prompt shipping! High quality pan phillips thread cutting screw type "F" #8-32x1/4" Visit our store for more fasteners and industrial supplies. I take great pride in the quality of my items, the accuracy of my descriptions and prompt shipping! 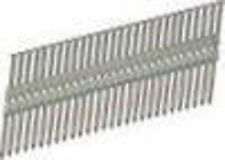 High quality Phillips pan head machine screw 1/4-20 x 2 1/2" Visit our store for more fasteners and industrial supplies. Stainless steel 1/88 304. High quality metric M6 A2 Turned (Solid) countersunk finishing washers stainless steel 18/8. Visit our store for more fasteners and industrial supplies. Metric lock washer M6 Din 127B zinc plated. Visit our store for more fasteners and industrial supplies. I take great pride in the quality of my items, the accuracy of my descriptions and prompt shipping! High quality flat washer 1/2" x 1 1/4" od stainless steel 18/8. Visit our store for more fasteners and industrial supplies. I take great pride in the quality of my items, the accuracy of my descriptions and prompt shipping! 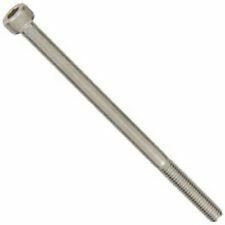 High quality hex bolt M5 X 0.8 X 12 stainless steel A2 304. Visit our store for more fasteners and industrial supplies. I take great pride in the quality of my items, the accuracy of my descriptions and prompt shipping! High quality serrated flange nut M10 x 1.5 stainless steel A2. Visit our store for more fasteners and industrial supplies. I take great pride in the quality of my items, the accuracy of my descriptions and prompt shipping! High quality button socket head screw M6 x 1.0 x 45mm stainless steel A2. Visit our store for more fasteners and industrial supplies. I take great pride in the quality of my items, the accuracy of my descriptions and prompt shipping! High quality finished hex nut M10 x 1.5 stainless steel 316. Visit our store for more fasteners and industrial supplies. I take great pride in the quality of my items, the accuracy of my descriptions and prompt shipping! High quality oval head phillips screw #10 x 3/4" SS18/8. Visit our store for more fasteners and industrial supplies. I take great pride in the quality of my items, the accuracy of my descriptions and prompt shipping! 5/8"-11 x 1-3/4" Grade B7 Heavy UNC (Coarse) Hex Bolt, 5 pk. High quality finished hex nut 5/8-11 stainless steel 18/8. Visit our store for more fasteners and industrial supplies. I take great pride in the quality of my items, the accuracy of my descriptions and prompt shipping! High quality button socket head screw M5 x 0.8 x 25mm stainless steel A2. Visit our store for more fasteners and industrial supplies. I take great pride in the quality of my items, the accuracy of my descriptions and prompt shipping! High quality metric hex bolt M6 x 1 x 100mm stainless steel A2 304. Visit our store for more fasteners and industrial supplies. I take great pride in the quality of my items, the accuracy of my descriptions and prompt shipping! High quality stainless steel 18/8 stainless steel countersunk washer for #10 Screw Size. Visit our store for more fasteners and industrial supplies. 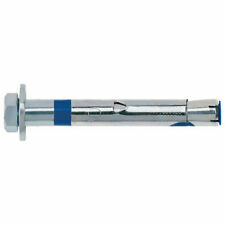 High quality Hex Bolt 5/8-11 x 3" Visit our store for more fasteners and industrial supplies. I take great pride in the quality of my items, the accuracy of my descriptions and prompt shipping! 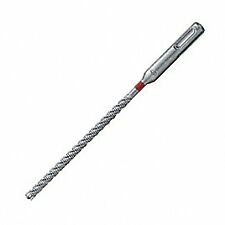 HIlti # 2112764 SETTING TOOL HDI(-L)+3/8"
Pam Fastening Technology SDW14212 Wing Drill Point PamDrive #14 x 2-1/2"